In an alternate 1984, Iran emerges victorious from the bloody conflict with Iraq begun only three years earlier. After consolidating its gains and finally harnessing its professional army to the whims the Revolutionary Council, Iran is ready to strike again. This time, the stakes are the future of the entire Middle East. In a bold plan to destroy its enemies in the Gulf Council states and spread the fervor of the revolution beyond its borders, Iran will seize the Straits of Hormuz and come to its rightful place as a world power with control over the production and transport of oil from the region. After the Soviets perform a number of brilliant political maneuvers accompanied by a series of American foreign policy missteps, relations between the Soviet Union and Iran have grown closer. In the Iranian plan, the Soviets see their chance to become the dominant superpower in the Middle East by supporting Iranian military adventure in the Gulf. The Iranians are currently the strongest military power in the entire Middle East. 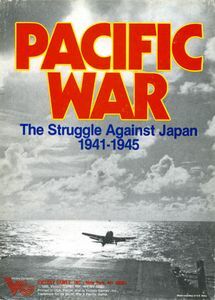 The American allies have grown soft and complacent over the years. If the Americans can be delayed from interfering in the conflict, the Iranian plan might just stand a chance in succeeding. 1. Truck units are super-duper important in this game. They do everything from carry supply depots to carry troops. If you don't have your trucks in the right spot, your infantry is going to have to march through Saudi Arabia on foot like in those old Cecil B. DeMille Bible epics. That's cool if you're living in the 3rd century...not so cool if you're fighting a war in the 1980s. 2. There is no such thing as overplanning in Gulf Strike. Time is of the essence for both sides so there isn't a turn to lose by shuffling your units around or mopping up in a country that should have already been taken. On the other hand, you should use just enough force to achieve your immediate objectives while getting the rest of your forces in position and ready for the next big fight. 3. Supply lines are crucial and the most vulnerable part of any army in the field. Putting your defense away from the capital is smart but victory can mean a one or two hex difference when you've got a lonely mechanized division sitting on a crucial highway north of Riyadh. All it takes is a successful interdiction mission or two and the unit is completely useless. So here we are again sitting at the border of Kuwait and ready to invade. What am I thinking here? Well, I should be thinking about how I can decisively defeat the Kuwaitis in the minimum amount of time. 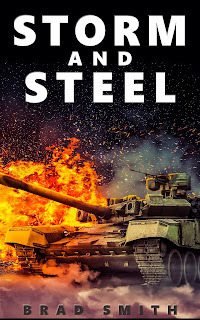 As soon as the first Iranian tank tread crosses the border, the clock is ticking down until the Americans intervene and there is only so much the Soviets are going to be able to do before the Marines are ashore and suddenly we're another lyric in the Battle Hymn of the Republic. It will be much better for the Iranians to have all the hard fighting finished and simply hand the US a fait accompli when the first CVN pops up off the Straits of Hormuz. So my plan is basically to overwhelm Kuwait with three big divisions on turn 1 and send the rest of my guys south towards Saudi Arabia. I don't actually want to enter SA on the first turn as that would trigger their activation immediately. I just want to get my guys on the roads. I'm guessing that I'll need to keep an armored division in Kuwait just to mop up the MP battalion in Kuwait City on turn 2. That's fine. By that time the rest of my guys will be knee-deep in the sand down in Saudi Arabia. There are basically two ways to go through Saudi Arabia - the coastal route and the interior route. Having to split my forces up between the routes will make for some supply headaches but luckily, the Saudis have set up too conservatively. They have put all their ground troops near Riyadh to defend the capital. This means that I'll be able to march through the interior and simply move down towards the capital without having to worry about my flank on the coast. The extra defenders around Riyadh might make the fight for the Saudi capital a bit tougher but I should be able to easily overwhelm them if I send enough tanks to take them on and unleash enough Iranian airpower to help with the job. The eastern coastal route will be used for the rest of my army so they can keep the advance going into the UAE and Oman. Qatar and Bahrain can be taken at some later point by amphibious forces and airmobile/paratroop assets if I need them. The real prize here is the tip of the Strait of Hormuz (control of the Strait depends partially on controlling hexes 4555, 3557, 4458, 4062, and 3664). With control of the Strait, the Iranians have some kind of shot at a Decisive Victory. That's about it for the Iran plan. I know this is not even a skeleton of a plan but I haven't played this game enough to really see the big obstacles waiting for me down the road. I'll update later and let you know how it's going. Thanks Mark! I love that article you wrote. 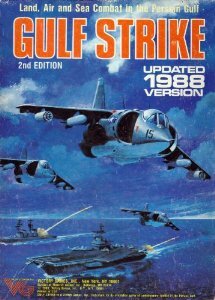 I have studied it many many times.I hope you do more Gulf Strike stuff because I'm always inspired to get the game out on my table when I read it. Your lessons are spot on. Coordinating the Iranian offensive is not easy at all. How to use the amphibious and airmobile/airborne forces may be the most intriguing part. Have to set this up again soon. Even if I don't play it, sitting and contemplating the possibilities is fun. Thanks! I love this game and I'm always impressed by how well it holds up even after all these years. Just looking at the set up gives off a kind of sweeping grandeur that you don't often get from other games.